It is 2:00 pm in the South-Caucasian city of Gali and a dozen men are eating in a small bar next to the old theatre. “Now we have to say that we are Abkhazians, and so we do,” the men confess. Nonetheless, they are Mingrelians (an ethnic sub-group of Georgian), who lived through each of the previous armed conflicts between Abkhazia and Georgia. Authorities on both sides not only interfere with returnees' rights and freedom of movement, but also contribute to keeping them in a painful ‘limbo' situation. 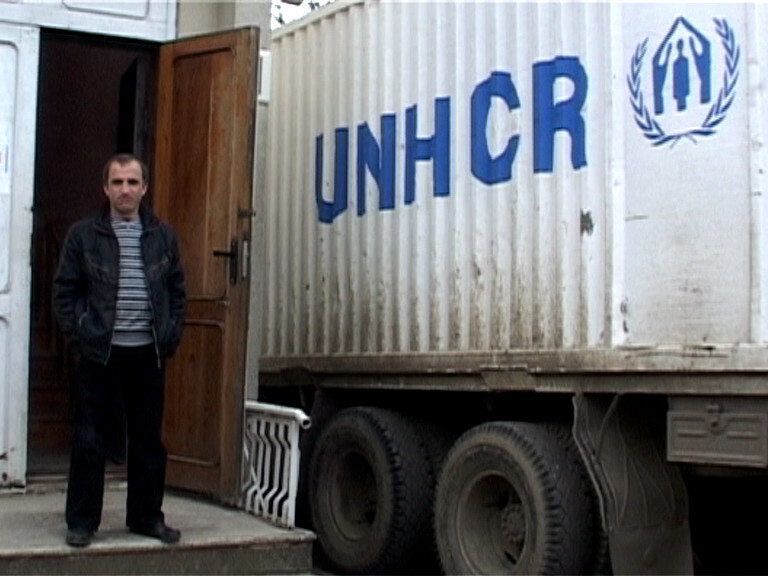 Returnees have been exploited for political purposes, both in Tbilisi and Sukhumi. They are the biggest losers because none of the governments seems to sincerely care about them. “The saddest thing is their feeling of abandonment,” Sabina Salikhova, director of the United Nations Refugee Agency in Gali, told me the last time I visited the district, in late 2010. “The women have it worst of all. For them, it is difficult to find work or a place to stay. It is also difficult for the elderly, who cannot flee or have to stay alone. The men have problems with unemployment and alcoholism”, Salikhova added. On 4 April 1994, Abkhazia, Georgia, Russia and UNHCR signed a Quadripartite Agreement on the Voluntary Return of Refugees and Displaced Persons. Such Agreement obliged the parties to create conditions for voluntary, safe and dignified return, to ensure that those who return will be protected from harassment, that they are issued identity and residence documents and their lost property is restituted or compensated. Unfortunately, this unsuccessful agreement remains the only document relevant to the return of IDPs and refugees to Abkhazia signed by the parties. The 1992-1994 conflict in Abkhazia displaced more than 200,000 persons. This figure includes about 79,000 mostly ethnic Georgians who constituted almost the entire population of the Gali district (UN RSG, 23 December 2010). Over the years, tens of thousands of IDPs have returned to their homes in Gali district. In some cases, this was upon strong encouragement from the government, but they were displaced again when violence broke out in 1998. According to UNHCR figures, there are currently some 45,000 to 50,000 returned IDPs in Gali district, but estimates vary. “The difference in estimates is due to the fact that many inhabitants of Gali do not have an Abkhaz passport and are not even registered. Many of them travel back and forth between Gali and the neighboring region of Zugdidi, while others don’t even have the ‘document #9’, which in practice serves as a residency card,” said an expert from an international agency in the region, who asked to remain anonymous. “We fled before the first conflict and two years later we returned to Gali,” Kobalia said. “In 1998 we escaped to Zugdidi again, but this time when we returned, our house had been burned down.” Kobalia’s daughters, sons-in-law and grandchildren live in a similar cabin next to his. “Where will I go? My home and my family are here. What will I do in Georgia? I have no property, I wouldn’t be able to survive,” Kobalia said. The Inguri River valley forms the “administrative border” between Tbilisi and Sukhumi. Russian troops are on one side of the bridge and Georgian troops on the other. On the Georgian side, a poster shows an image of then-president of Georgia, Mikhail Saakashvili, and a map that includes Abkhazia and South Ossetia. Across the valley, a billboard shows former presidents Sergei Bagapsh and Dmitry Medvedev shaking hands. “The war was a disaster, war never brings any good; even Russia didn’t get anything good from it,” said Irakli Alasania, previously Georgia's representative at the United Nations and current minister of defence. “The conflict still continues and the process of recognizing Abkhazia’s independence has stagnated,” adds Alasania. “Neither Georgia nor Russia has the will to resolve their disputes, and now the people are paying the price,” agreed Alexander Cherkasov, a board member at Russian human rights organization Memorial. “Yes, the people got their freedom with weapons, but what have they achieved with it? What has improved?”, he asks. The Abkhazians with whom I met confirmed their will and work to build up a fully independent state. The state building project includes making some efforts to improve living conditions for the local population, including in the Gali district, where roads have been partially rebuilt. Yet, for the time being, this does not include a real opportunity for all IDPs to come back to their homes. The last report of the Internal Displacement Monitoring Centre confirms that the majority of IDPs are yet to receive a housing and are still waiting for promised property titles. The report encourages local authorities to dedicate greater attention to the creation of job opportunities for IDPs.